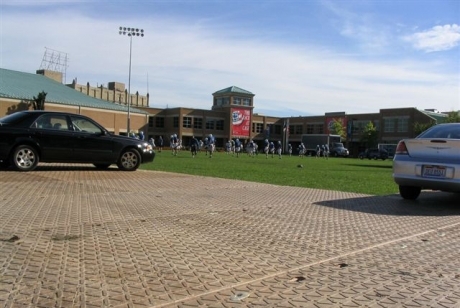 Turf Protection Mats, Temporary Stadium & Event Flooring Rentals | Newpark Resources Inc. 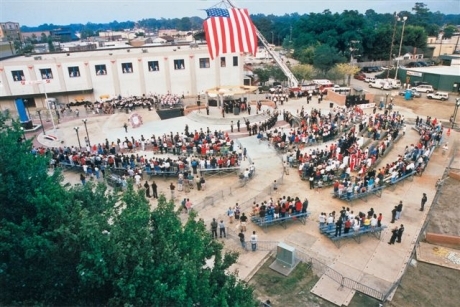 The DURA-BASE® Advanced-Composite Mat System provides flexibility and mobility to your live event protecting existing ground cover assets. 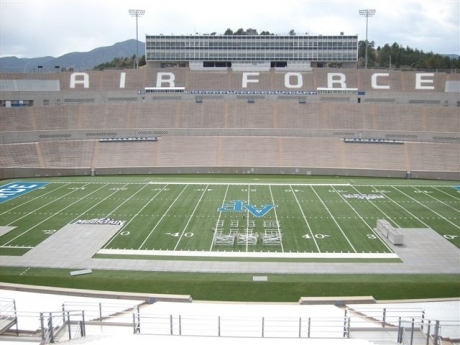 Arenas, stadiums and fairgrounds are ideal venues for outdoor events, but their natural and artificial surfaces require careful protection. DURA-BASE® not only protects the surface you need to work on, but also provides vital access to locations that are too wet or too sensitive for typical vehicle traffic. The interlocking DURA-BASE® Advanced-Composite Mat System installs easily and rapidly, using minimal crew and a fork-equipped loader. You’ll never need to roll over the protected field during installation, because the mats can be set in place while operating on top of previously laid mats. Once the mats are locked into place with convenient fasteners, a continuous pad or roadway is created. 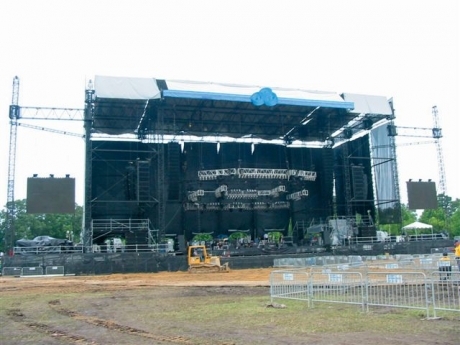 Scaffolding, seating, staging and lighting can be placed on the firm, uniform surface that the mats provide, keeping your equipment, event staff and guests high and dry. If you need parking areas or turnaround pads, DURA-BASE® allows your guests or VIPs to get as close to the venue as possible. When the show is over, tear down is a cinch with DURA-BASE® mats. 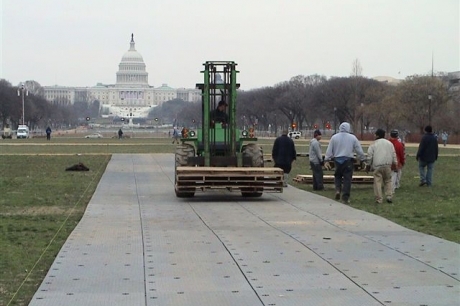 They can be rapidly removed or reconfigured to allow truck access to the location during the tear down and load out. Once you’re off location, you can be confident that no rutting or damage to the playing field has occurred. The DURA-BASE® Advanced-Composite Mat System provides flexibility and mobility and protection making your live event a success.